Wooden pyramid shaped tunnel with rainbow effect coloured windows. A stunning feature in any outdoor space. 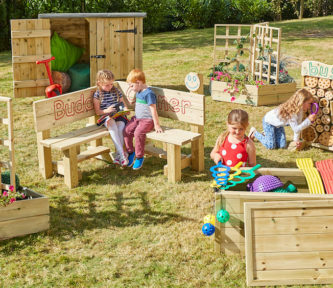 Use as a trike ride through, a cosy nook for small groups, or just to play in. Wooden base so it can be used all year round without worrying about ground conditions. Position on flat ground. Does not require installation into the ground and is feasible to move. Made from coloured safety Perspex and pre-treated Scandinavian Redwood, which is guaranteed against rot and insect infestation for 10 years. Delivered in two parts. Will require two people for straightforward assembly.